News by Britta S., Lindsay M., and Matt C.
This is a shameless plug for my old hometown, Hamburg (Germany), a city long known for its strong support and love of the arts. Whenever I see a game being developed there, I am compelled to investigate it further. When I saw the title “Battle Brothers” mentioned, I at first assumed it was Yet Another Boring Shooter. To my surprise, it turns out to be a turn-based strategy game that has been in development for nearly two years with Steam’s Early Access. The game launched officially last week and is bathed in a very positive response so far. Battle Brothers is the brainchild of Overhype Studios and plays out in a gritty, medieval-style fantasy world where you lead a band of mercenaries through contract battles. There is a lot of management involved, such as hiring, equipping, and training new mercenaries; which contracts to take; even discipline to be meted out among your followers. The game is organised on two layers: a strategic world map (with towns, contracts and the management menu) and a tactical combat map, which is triggered once you engage in combat. Battles with historical equipment (spear wall, anyone?) can be brutal, with severe injuries and even permadeath. The artwork is simply incredible: highly detailed and beautifully finished, with that whiff of historical authenticity. Individual characters appear as head-and-shoulders pieces on a battle board with hex-shaped tiles. All characters come with their own background stories and traits, and in a departure from classic RPG features, there is no restrictive class system. The menu system looks complex yet well organised. The launch trailer, above, will give you a good flavour of the look and gameplay. Shin Megami Tensei fans rejoice! The weird, wonderful Nintendo DS game Shin Megami Tensei: Strange Journey is getting an enhanced 3DS port, under the title Shin Megami Tensei: Deep Strange Journey. If you live in Europe or Australia, you might have missed Strange Journey, since it never came out here. It’d be easy to write it off as a non-essential spinoff given the lack of a numeral in the title, but it was actually meant to be the fourth main SMT game – I guess Shin Megami Tensei IV didn’t get the memo. Instead of the usual Tokyo setting, this game took place in Antarctica, but the common SMT themes of post-apocalypse, technology, and environment remain intact. The port adds a new character, Alex, as well as a new ending route, new demons, and new character illustrations. It also aims to streamline the game and make it easier to play, though details as to how that will work haven’t been announced just yet. 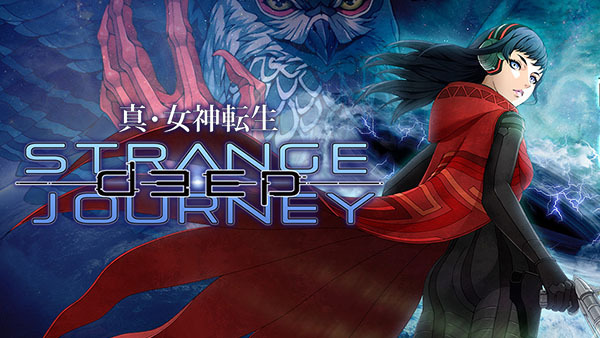 Shin Megami Tensei: Deep Strange Journey is due out in Japan later this year; there’s no word on a Western release just yet, but we’ve got our fingers crossed. April Fools' Day is tough for a news editor: having to sort through obvious fake news, real-looking fake news, fake-looking real news, and obvious real news… it’s no joke, pun most definitely intended. So when a Variety article popped up on my Twitter feed while it was March 31 in my part of the world, I was skeptical — after all, half of the earth was now fully immersed in the day that makes me weep into my cereal, “enjoying" the jokes as I fight the urge to throw my iPad out the window into a snowbank. The article in question states that one of my most-anticipated games for Xbox One (okay, my only anticipated game for said console) is being made into a film by Gold Circle Entertainment. I certainly wasn’t the only one to raise an eyebrow at this announcement: a film being announced that is based on a game not even released yet (although plays wonderfully so far, as you can read in my preview) seems downright odd. 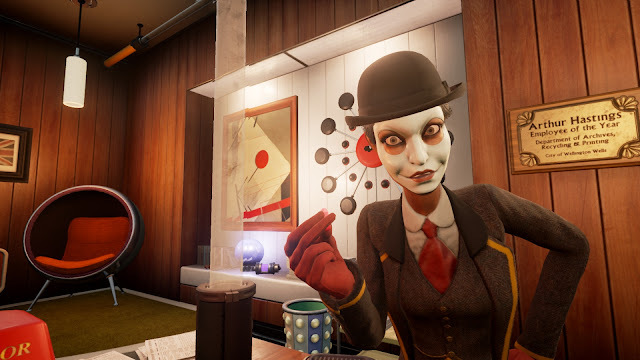 But hey, if We Happy Few is anything itself, it’s odd, so let’s go with it! The aesthetic of the game alone could lend nicely to film, and I can picture the NPCs I’ve encountered thus far as being quite eerie when viewed filmed in live-action. Sure, there is not much of a plot to the game yet, but clearly the Hollywood bigwigs trust Compulsion Games as much as I do. The show, announced two months ago, was already set to debut this spring in Japan, airing on MBS, TBS, and Netflix Japan later this month. The title there at least incorporates a hint at the show’s content; Final Fantasy XIV: Hikari no Otousan loosely translates to “Daddy of Light,” but the inclusion of the game series’ number hints at what is to come. The show is actually inspired by a Japanese blog of the same name where a FFXIV player documented his father’s time playing the game. As the dad plays, the son hides his identity while playing alongside his father in-game. Final Fantasy: Daddy of Light will debut on Netflix worldwide this fall (for those in the Southern Hemisphere, mark your calendars for spring!). It combines live-action acted scenes with in-game footage.